This entry was posted on January 23, 2017 by Nick. Mother’s Day falls on the 26th of March this year and it’s never too early to find that perfect gift. 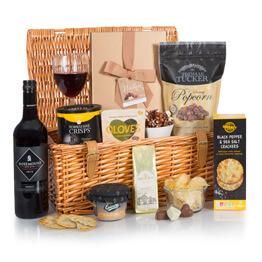 Hamper.com have a fantastic collection of Mother’s Day hampers that are packed with delicious treats that show her how much she is appreciated. We choose only the finest items to go into our Mother’s Day hampers including indulgent cheeses, delicious chocolates and the perfect wine, Champagne or Prosecco. 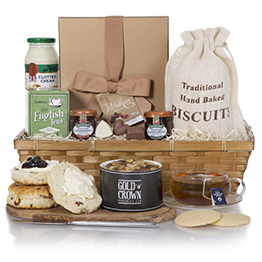 The wonderful Luxury Cream Tea Gift Hamper is perfect for celebrating Mother’s Day. Featuring handmade scones, chocolate cookies, blueberry & apple cake and a range of delicious preserves, this gift hamper is filled with delicious treats. If your Mum is a chocoholic, then she’ll absolutely love the Chocolate Indulgence hamper this Mother’s Day. 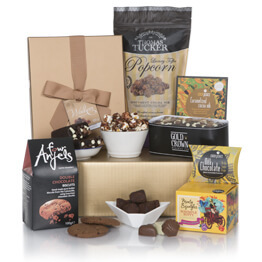 The hamper is presented in a three-tower gift box and features a range of chocolate treats, including chocolate cookies, cake, chocolate dipping sauce, a milk chocolate stirrer and much more! Let your Mum put her feet up and be spoilt this Mother’s Day with the Breakfast In Bed For Mum gift hamper! This hamper is perfect for enjoying on Mother’s Day morning and includes Bucks Fizz, croissants, tea, coffee and chocolates. 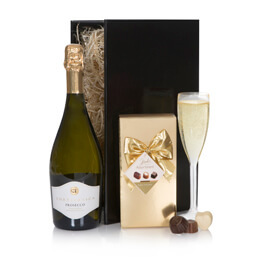 Celebrate Mother’s Day with the fantastic Prosecco & Chocs Hamper. 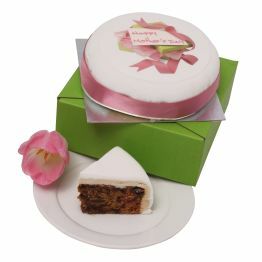 Show her how much she is appreciated with this fantastic gift from Hamper.com. 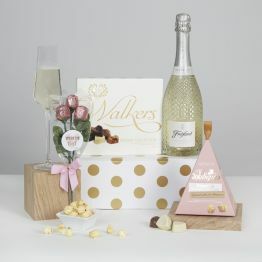 The gift is presented in an elegant black box and features a bottle of Italian Prosecco and luxury Belgian chocolates. The luxury Wine Cheese & Pate hamper is one of our best-selling gifts and it is easy to see why! 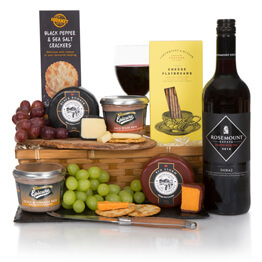 This gift hamper is perfect for Mother’s Day and features Australian Shiraz red wine, a carefully chosen selection of fresh cheese and indulgent pate. Hamper.com also have a wonderful selection of flower bouquets for Mother’s Day. Our talented florists create stunning bouquets that are shipped fresh and ready to bloom. Show her how special she is with a fantastic flower gift from Hamper.com. For more information of the Mother’s Day gift hampers that we provide, please get in touch today. Contact us online and a member of our team will get back to you as soon as possible to answer any questions you may have.